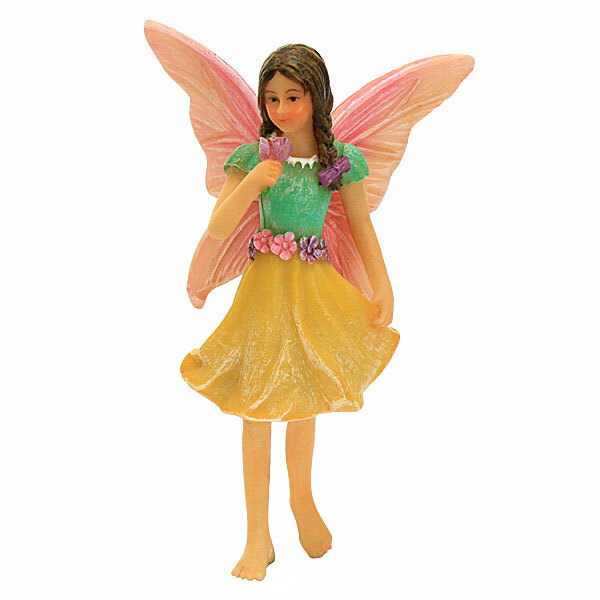 A beautiful standing fairy in a walking pose holding a summer flower. She has a finely detailed face and has a metal stake to one foot to hold her in position. 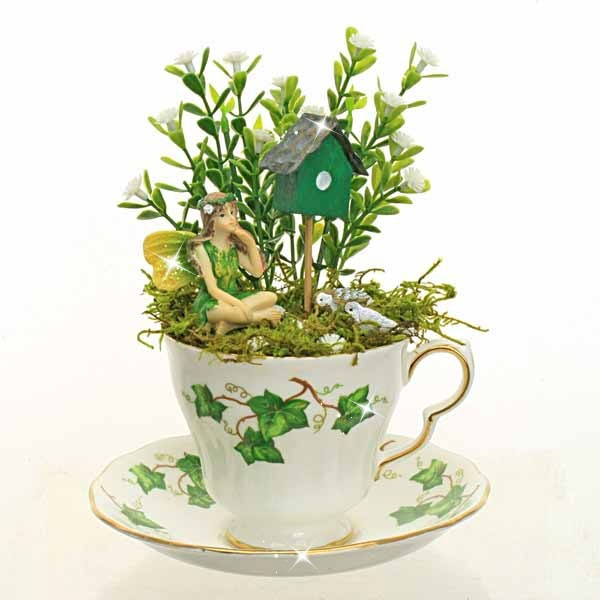 Made from resin and suitable for outdoor use.